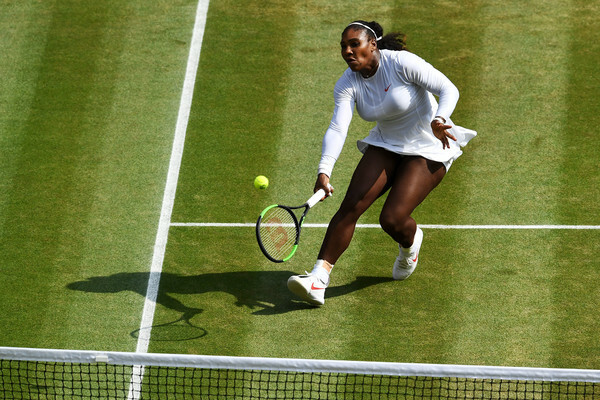 Angelique Kerber and Serena Williams will contest the Wimbledon final after their respective impressive runs in a repeat of their 2016 clash, but this time both players are chasing for history with Williams going for her 24th Slam while Kerber goes for her first Wimbledon title. Not many would have expected the 2018 Wimbledon Championships Ladies’ Singles final to be a repeat of the 2016 thriller. 23-time Grand Slam champion Serena Williams will face two-time Major champion Angelique Kerber in a blockbuster and highly-anticipated championship match as the American chases for more history while the German edges a step closer to achieving the prestigious Career Grand Slam. The last time Williams triumphed at this location, the All England Lawn Tennis and Croquet Club, where she will make her 10th appearance in the final, was in 2016 when the legendary former world number one defeated Kerber in an extremely high-quality final which concluded 7-5, 6-3. Kerber will look to exact revenge, though, and will make her return to the top-four by claiming her third Major trophy. 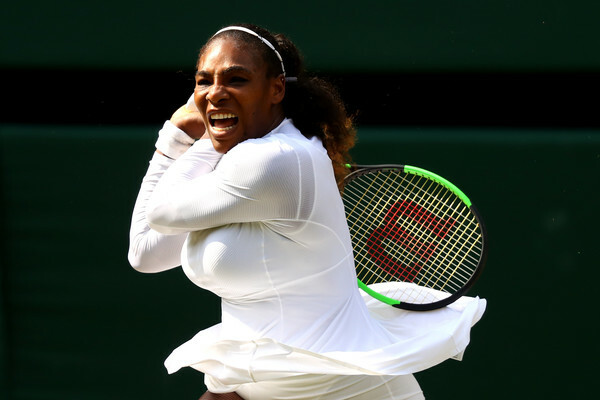 Whereas, Williams is already slated to break into the top-30 but a record-breaking 24th Grand Slam title will send her back into the top-20 for the first time since her maternity leave. The final will be played on Saturday at 2 pm local time, and this will be the first final not being contested by any top-10 seed since 2013. Kerber is looking to be the first German champion since Steffi Graf in 1996 while Williams aims to claim the crown for American tennis for the 14th time in 20 years. 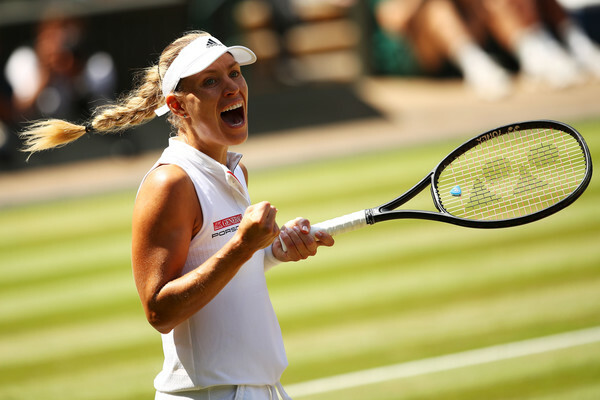 Angelique Kerber got off to a slower start than expected to her Wimbledon campaign, needing two tight sets to edge past 2009 finalist Vera Zvonareva before suffering a huge scare against the unheralded qualifier Claire Liu in the second round, triumphing in three sets after a tough fight. Going up against the dangerous and hard-hitting Naomi Osaka, Kerber impressively blasted 23 winners to just five unforced errors to book a spot in the second week where she saved four set points to oust the resurgent Belinda Bencic in straight sets once more. In what was a thrilling quarterfinal encounter against Daria Kasatkina, the German produced a fantastic performance and played some clean tennis to grab the 6-3, 7-5 win and return to the semifinals for the first time since 2016, when she reached the final as well. Kerber made it two finals in three years as the former world number one stormed past Jelena Ostapenko in straight sets. Williams opened her campaign with a solid 7-5, 6-3 win over Arantxa Rus before storming past qualifier Viktoriya Tomova on Centre Court. She hit a combined 47 winners during these two matches alone, but she faced her first real test of the tournament in the third round. Serving 13 aces and hitting just nine unforced errors, the American recovered from a deficit to grab a terrific 7-5, 7-6 victory over the dangerous and looming Kristina Mladenovic to make her second consecutive second-week appearance in a Major. There, she served another 10 aces and blasted an incredible 30 winners to ease past surprise package Evgeniya Rodina in just 62 minutes. Williams then lost the first set of her campaign after she went down a set to Camila Giorgi in their blockbuster quarterfinal clash, but perfectly rebounded to claim the tough yet excellent three-set win having fired 24 winners to just nine errors. Furthermore, the American only lost nine points on her first serves. Her semifinal performance was even more impressive, winning 87 percent of first service points en route to a comfortable 6-2, 6-4 win over Julia Goerges. Williams won the first five of their six meetings with Kerber’s lone victory coming in the quarterfinals of the 2012 Western and Southern Open. However, their last two meetings have come in Major finals and Kerber stunned the world when she shocked Williams 6-4, 3-6, 6-4 in the final of the 2016 Australian Open to claim her maiden Major title. They had a repeat of their thriller in the Wimbledon final that year, which was also their only meeting on grass. This time, Williams was able to overturn the scoreline, triumphing in straight sets to claim her 22nd Grand Slam title. 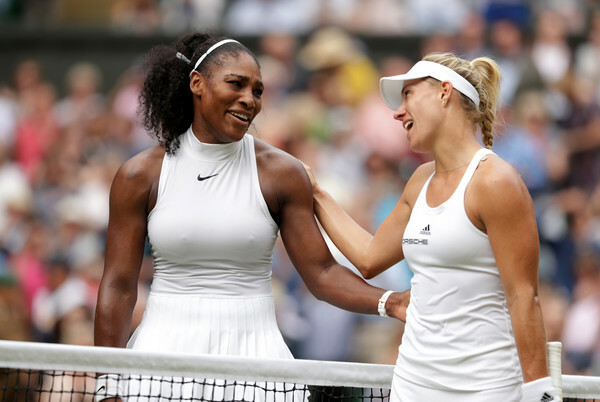 Can Kerber counterpunch her way to victory, or will Serena storm past the German? Kerber moves extremely well on grass though she needs to add more aggression into her game while going up against Williams considering that she could not afford to lack behind throughout the majority of the rallies. She has to play her top-notch tennis against such a high-calibre player like the American while the German has to include a variety of shots and angles to her game in order to mix up the rhythm and redirect the pace of Williams’ powerful groundstrokes. The former world number one and the two-time Major champion has been serving pretty well throughout the tournament, winning around 70 percent of her first-service points while losing just four second-serve points against Ostapenko in her semifinal contest. 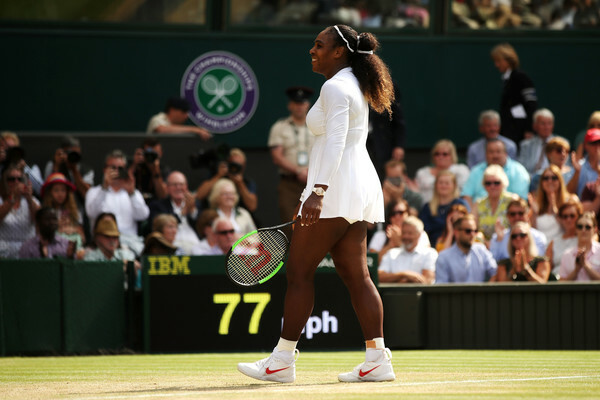 However, she would have to aim for a higher first-serve percentage as Williams will definitely possess the ability to punish those vulnerable second serves. Nonetheless, a consolation could be Kerber is currently the best returner in the women’s field, breaking serve 29 times while winning the most return points on the first serve. Things could get tricky for Williams as this will be the first high-ranked defensive player she will face in the tournament. Whereas, Kerber had already faced the hard-hitting Osaka, Bencic and Ostapenko en route to the final. If Williams were to perform as usual without any nerves affecting her play, getting the win should not be much of a problem unless she starts facing troubles while dealing with Kerber’s constant ball-retrieving skills. Her serves are lethal and unpredictable, and Kerber will have a hard time trying to return those bombs. The American has been dominant on her first serves, winning 80 percent of her first serves while also serving 44 aces, lagging just behind her semifinal opponent Goerges. Williams will be motivated and pushed by the fact that a win will earn her a 24th Grand Slam trophy, allowing her to hold the record for most Major titles won alongside Margaret Court. Williams has been on this stage for nine times and her experience should get her through narrowly in a tight match. However, anything could happen in a Grand Slam final and Kerber has proven that she could beat the best on the biggest stages in tennis, and therefore an upset can definitely never be ruled out.